RIO DE JANEIRO, Jun 16 (TerraViva) – Incorporating a monetary valuation of nature into gross domestic product (GDP) is an essential step for a global policy of sustainable development, according to legislators and scientists gathered in this Brazilian city ahead of the Rio+20 summit. 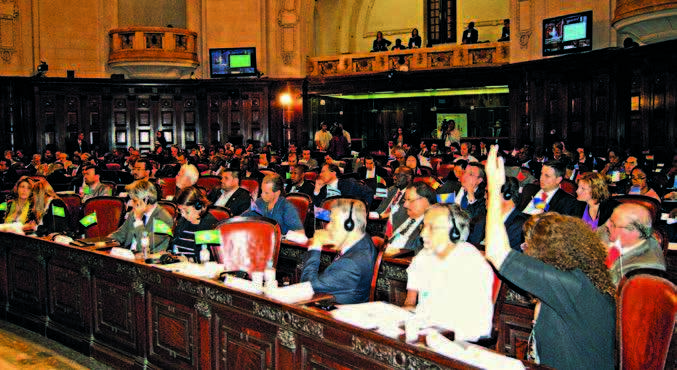 Some 300 legislators and dozens of environmental scientists are attending the first world summit of legislators, organised by GLOBE International, the association of parliamentarians concerned with environmental policies. The summit of legislators is taking place Jun. 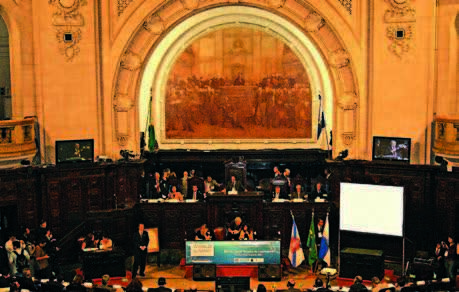 15-17 in the Tiradentes Palace, the original seat of the Brazilian congress. GLOBE has made the incorporation of “natural capital” into national accounts and the consequent reform of GDP its central theme at the summit of legislators. “Natural capital” also constitutes GLOBE’s main contribution to the U.N. summit on sustainable development, also known as Rio+20. “Developing ‘Natural Capital Accounts’ is a critical step towards reshaping existing policy and national accounting frameworks to accurately reflect the relationship between the economy and the environment,” Barry Gardiner, a Labour party member of the British parliament, and vice president of GLOBE, told TerraViva. Gardiner pointed out that substantial improvements on environment and economic national accounting have been made, at the U.N., and in other scientific research venues. “With the adoption of the System for Environmental-Economic Accounting (SEEA) last February, there is now an internationally agreed framework to account for these interactions and to measure material natural resources like minerals, timber and fisheries,” Gardiner said. The SEEA, approved by the U.N. statistical commission after years of research, contains the first internationally agreed standard concepts, definitions, classifications, accounting rules and tables for producing internationally comparable statistics on the environment and its relationship with the economy. The SEEA framework follows a similar accounting structure as the system of national accounts, and uses concepts, definitions and classifications consistent with it in order to facilitate the integration of environmental and economic statistics into a new GDP indicator. Glenn-Marie Lange, managing director of the Policy and Economics Team at the World Bank’s Environment Department, and advisor to the U.N. team that put together SEEA, said that environmental national accounting can be a useful tool for governments to bolster their bargaining position vis-à-vis multinationals exploiting resources in their countries. “If you know the extraction cost of a given resource, and the market price of it, you can improve your negotiation position so as to obtain a larger share of the benefits for your country,” she said. “SEEA can also help local communities to demand benefits to be better distributed, and get their fair share of them,” Lange said. Substantiating the concerns of the legislators regarding the depletion of natural capital, which is ignored under present economic growth assessments, scientific advisors to GLOBE pictured a worrisome state of the environment. Jonathan Baillie, a well-respected British biologist and expert on the conservation of threatened species, said that in practically all respects, and despite recent international environmental protection commitments, the state of nature today is worse than ever. “In the first decade of this century, we lost 13 million hectares of forests per year,” he said during the plenary open session of GLOBE in Rio. “Almost every commitment made by governments to protect oceans has not been achieved,” Baillie, director of conservation at the Zoological Society of London, added. Baillie repeated well-known warnings that uncontrolled climate change would mean devastation of life on Earth.